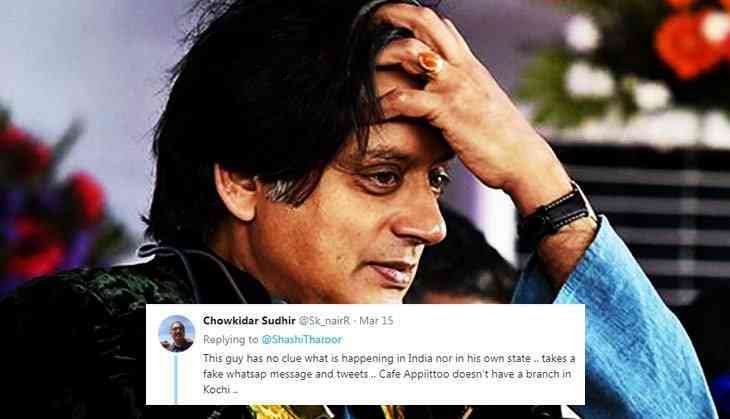 Congress MP Shashi Tharoor who is known for his Tharoorian dictionary amongst netizen, has been trolled brutally on social media for his recent post. However, we have rarely seen Shashi Tharoor committing blunder while posting his tweets on the micro-blogging site. Unfortunately, this time he made a blunder and Tweeple has taught him a lesson for the error that he committed. Also, he made a mistake in his post by locating Ahmedabad in North India. Instead of making fun of the chain, Congress MP got trolled as Twitterati took a jibe on his tweet and wrote some leg-pulling comments on Twitter. This tweet made Twitterati to behave like his teacher and soon, Tharoor have to face a lot of trolling comments. Isn't "Ahmadabad" spelled as Ahmedabad? Sir Ahmedabad is in West India not in North India. It is businessman fault not whole north India fault that they don't know the other languages. Most of the north indian languages are on same devnagri lipi however south indian languages have Brahmi lipi two entire different lipi. What a bad luck for Tharoor, the grammar nazi of our country! Naagin 3: You'll be glad to know how this Ishqbaaaz actor will change Bela aka Surbhi Jyoti's life!